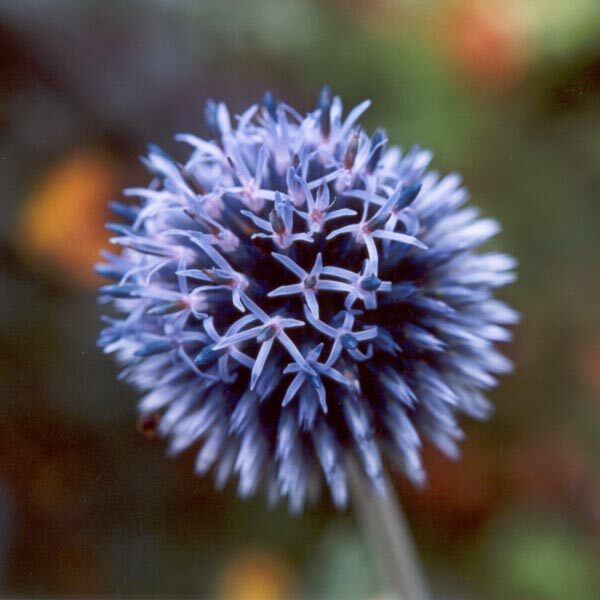 This beautiful blue perennial is called Echinops Ritro, commonly known as globe thistle. Webmaster son, who takes a lot of the photographs of the garden, thought that this thistle was a weed, and took a close-up just to annoy me. It backfired. Globe Thistles are easy to propagate. I've successfully grown more plants from seed, and from also by taking cuttings at the base of the plant early in spring. Also I've noticed a few plants self-sow from the original - not too many, mind you!